Mores Creek Summit Backcountry Skiing: Doug Abromait - Adios mi amigo! Doug Abromait - Adios mi amigo! It is darn difficult to reconcile how unsettle my heart is after learning about Doug’s passing away. Doug pass away this past Saturday, while mountain biking in the wonderful mountains of Central Idaho. Doug passion for the mountainous outdoors and the pursue of avalanche science was contagious. He was a role model, a mentor to many of us, and an uncharacteristically approachable leader. During this last year of transition I have feverishly embraced activities that sooth my soul such as enjoying time with family and friends, hanging around with fun seeking folks, doing what I love - Exploring the outdoors and the mysteries of Science. I observed the same fervor from Doug ... it was necessary example for me! During the last 6 years, I enjoyed quality time with Doug during the Fall sessions of the National Avalanche School. The first time I attended NAS Phase 1 and 2, I was fortunate to be one of Doug’s apprentices. NAS Phase 2 at Jackson Hole with Doug, showcased him as an extremely effective and inspiring lead instructor. 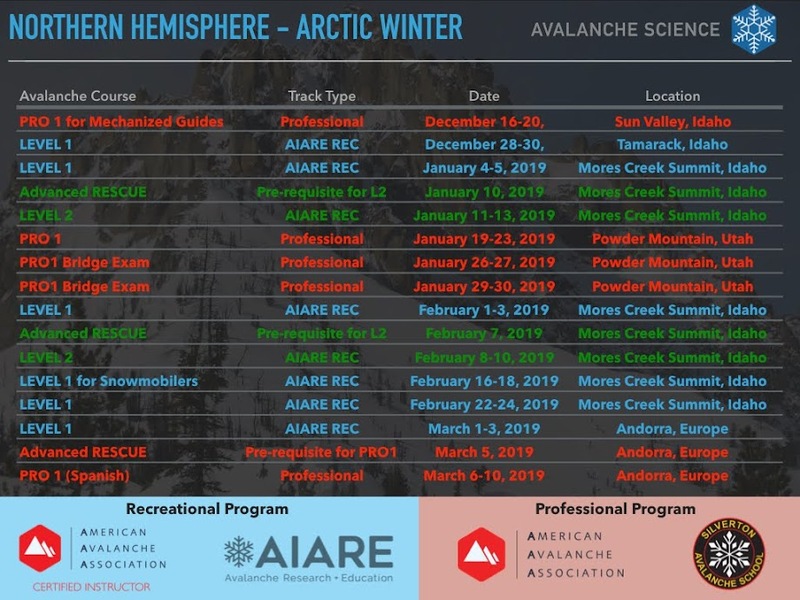 It was hard not to want be part of one Doug legacies, The NAtional Avalanche School, thus subsequent NAS saw me as one of Doug’s ‘helpers’ when I continued participate as a volunteer instructor. I learn so much from Doug about the confluence of snow science and human behavior while in avalanche terrain. But he reached higher, he was more ..., Doug never lost an opportunity to mentor others ... and that is rare in a world where most folks are busy with family and personal commitments. I will honor Doug’s memory by following his example; to be available and supportive of individuals in need of mentorship. Doug, I will miss your jokes, your big smile, your positive attitude, and your FUN seeking spirit. And remember .... How lucky we are both to get more face shots that anybody else ... being short in deep pow country is an asset!